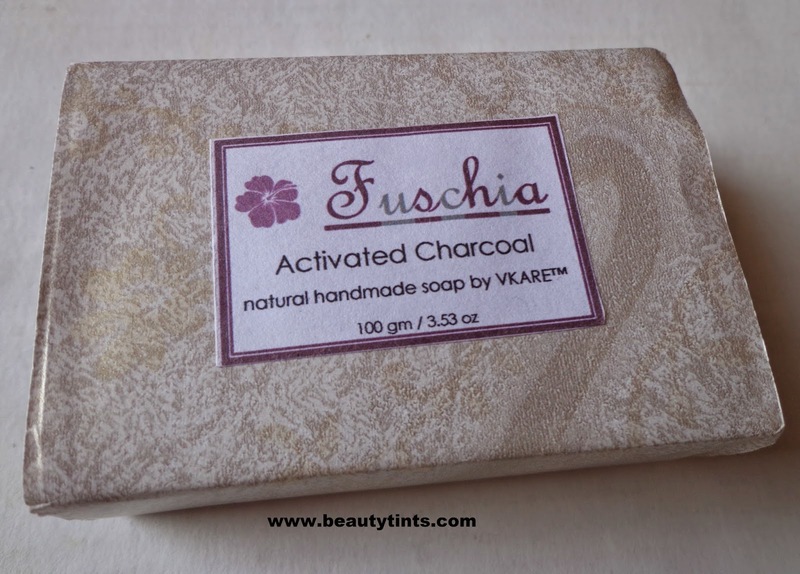 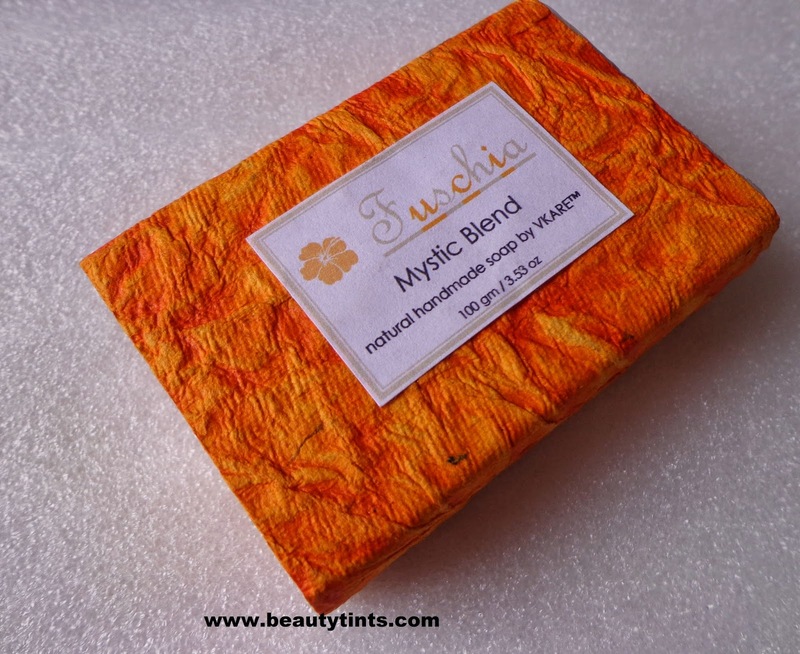 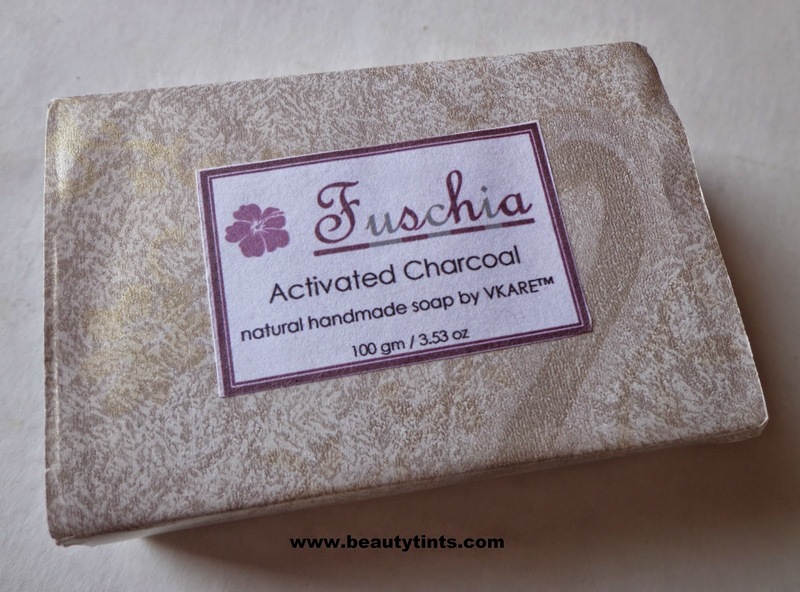 Today I am reviewing one more soap from Fuschia,which is the Activated Charcoal variant.I have reviewed the Mystic Blend before.This soap looks like a piece of charcoal and it is the first time in my life using a black colored soap. 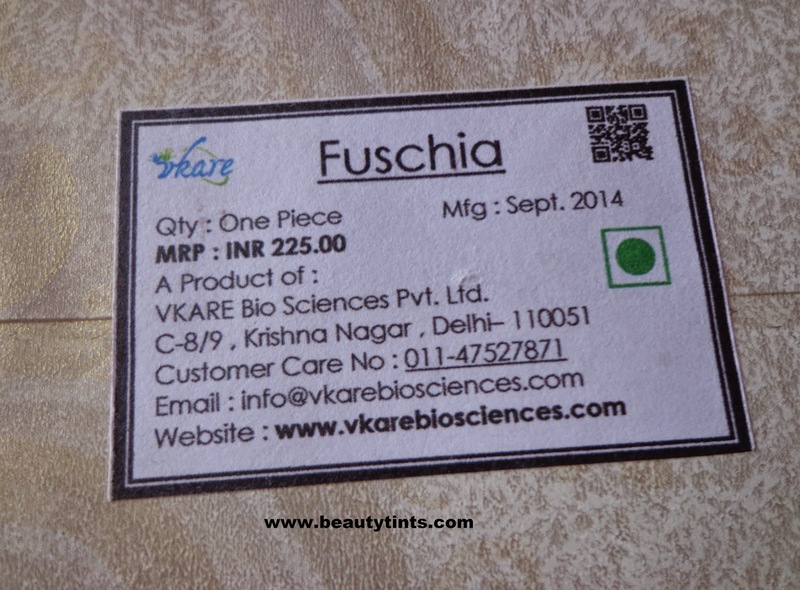 About Fuschia : Fuschia is a range of Handmade Natural Beauty by Vkare.Currently there are 38 variants of soaps and 5 variants of Lip Balms available under this brand. 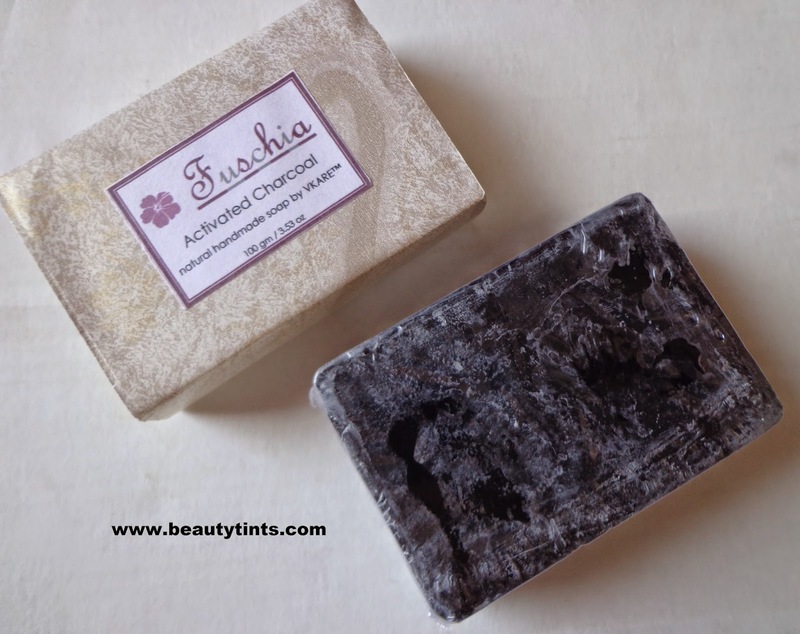 Packaging :It comes in a simple yet attractive hand made paper wrapping with a plastic film packaging inside for double protection. 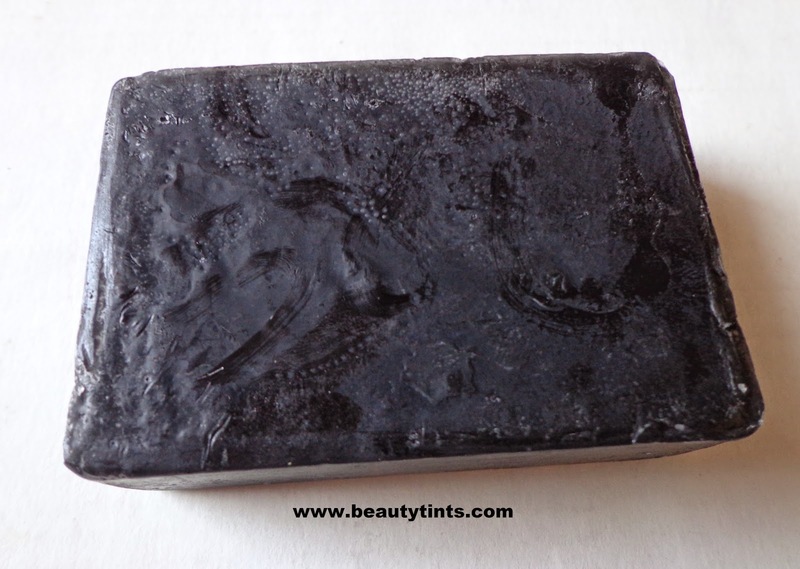 Color and Texture : This is a soft Carbon black colored Soap. 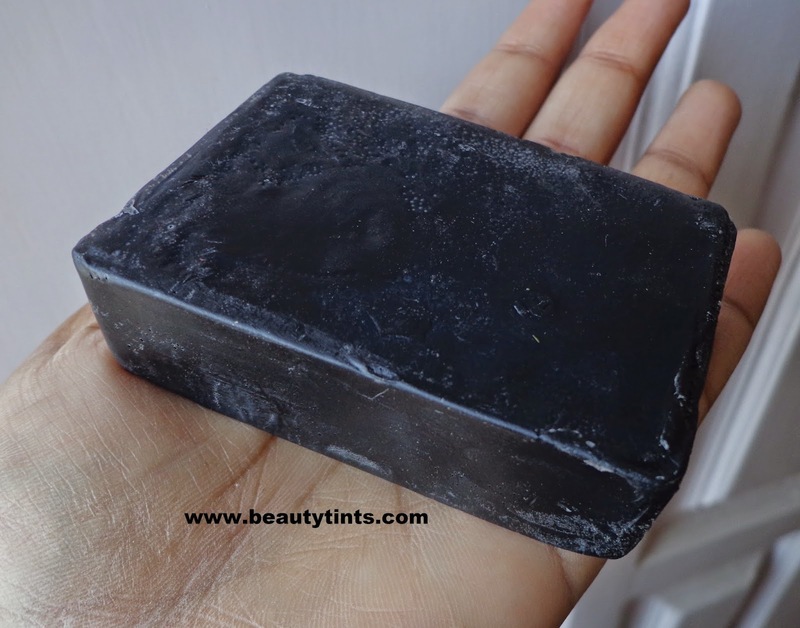 Reduce Acne and Improve Skin Health. 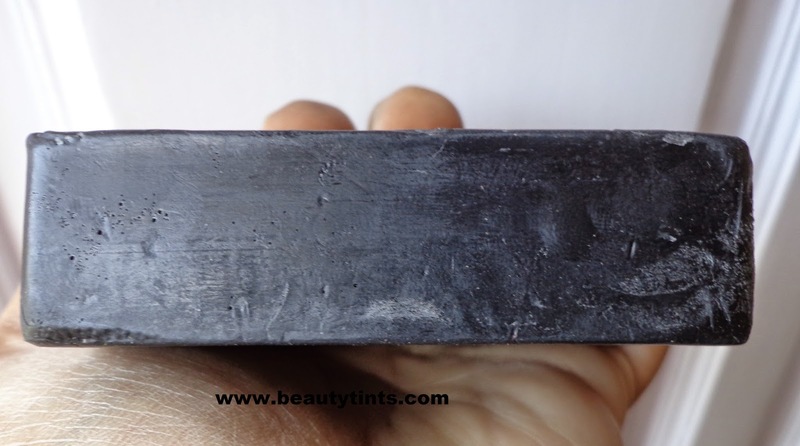 Activated charcoal removes toxins It helps in reduce the instances of acne and other skin impurities It also works wonders for completely removing makeup. 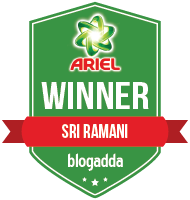 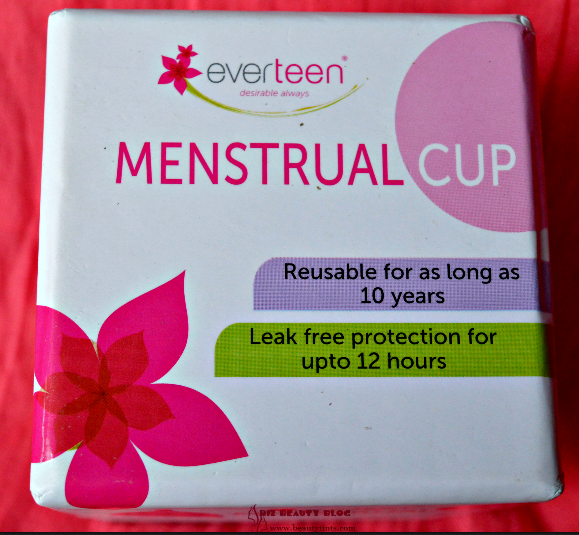 Availability : Available in few online stores,You can buy it from snapdeal at a great discount here. 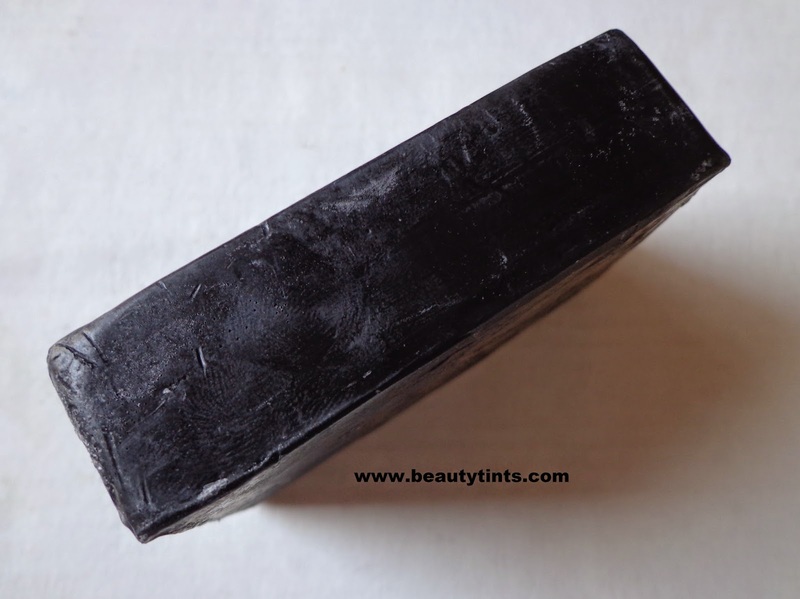 This soap is buttery soft and resembles a piece of Charcoal.Like all other Fuschia soaps this also does not melt easily and retains its shape till the end.It smells similar to cologne,which is very refreshing and pleasant(unable to describe it perfectly).I have already mentioned in my previous post that I am suffering from acne due to continuous trips and lack of proper skin care routine.As New Year is around the corner and lot of weddings and parties to attend in coming months,I started a complete new skin care regime with products meant to reduce acne and black marks.I have included this soap into my regimen as it is especially meant in removing toxins and claims of reducing the instances of acne. 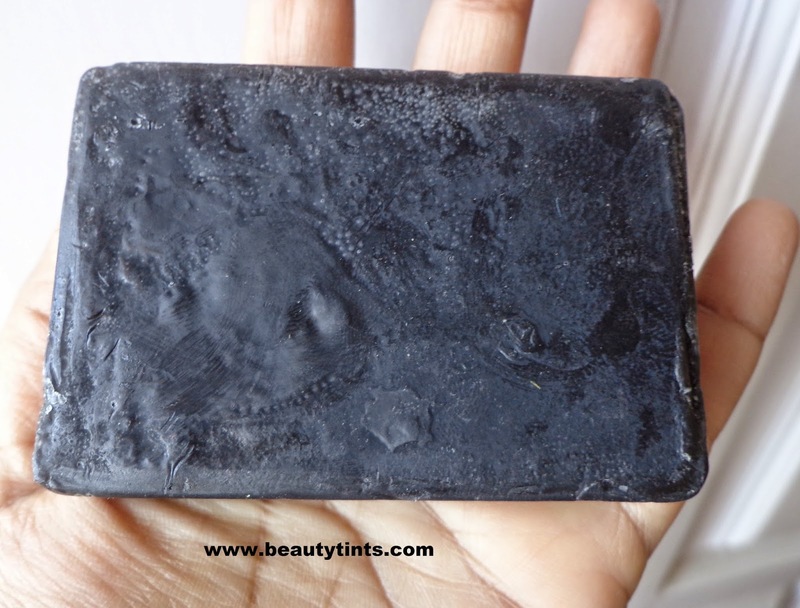 I have just started using it from few days and I could see a great change in the skin.It helped me in reducing the acne on face as well as on my back and itching caused by them,though not entirely as it needs some more days.It also helped in preventing the recurrence of acne. 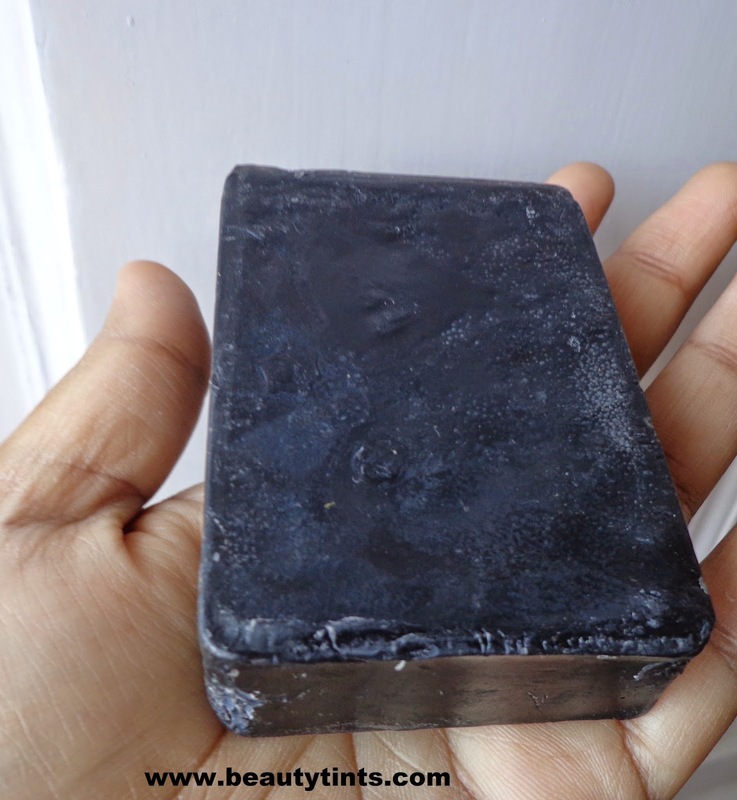 As of now, I cannot say much about its effect on stubborn pimples and black marks.Those who suffer from back acne and rashes should surely give this a try.It lathers decently and fragrance lingers only for some time.This soap cleanses the skin thoroughly and does not dry out much.As claimed it also helps in removing Make up ( tried only on face make up but not on eye makeup). 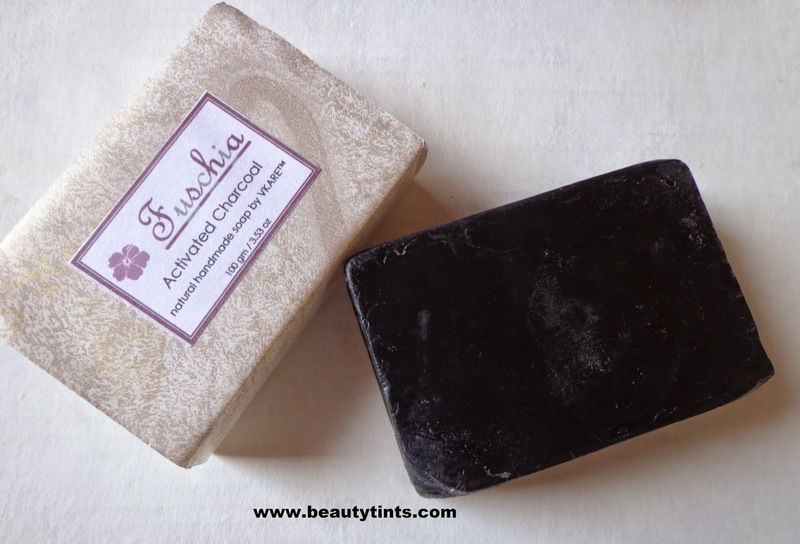 Final Conclusion about Fuschia Activated Charcoal Natural Hand Made Soap: Those who are suffering from acne on face and on body due to dandruff or any other reason,can give this is a try!